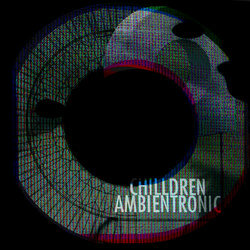 Ambientronic (pronunciation: [Am-B-N-Tronic]) are Dean Jones (from Australia) & Roman Shk (from Russia). Loosely formed in 2014 from a chance encounter online, the duo blended their individual skills and experiences to create a wholly transcendent sound. Ambientronic supersedes the trite rules of time and space to deliver their innovative sound offerings to the people of this earth. Their futuristic tracks bore their way beneath your skin, and elevate your consciousness to a new level. Though inspired by Severed Heads, Gus Gus and Boards Of Canada, their music is a beat wholly unique unto itself. Their music is characterised by driving beats, lush, resolving chord arrangements, strong melodic leads and cinematic arrangements of synthesisers, samples and other dissonant sound sources in the general category of Electronic music. Uncompromising and driven by a relentless passion to deliver the best to those who appreciate them, the signature Ambientronic sound combines pulsing, deep, bassy rhythms with classical melodies and Western style harmonies, with minimalistic and strictly electronic instrumentation. Ambientronic have released 3 albums, One, Duo & Tried with their 4th album planned for release mid 2019. Deceptively simple, the stripped down track plays with subtle variations in rhythm and ambient sound. Echoes of noise come and go in haunting wave while the deep rhythmic surge of the keyboard anchors the track, reminding listeners that despite the universe’s penchant for chaos, there’s always some cosmic energy that draws us back to the center.